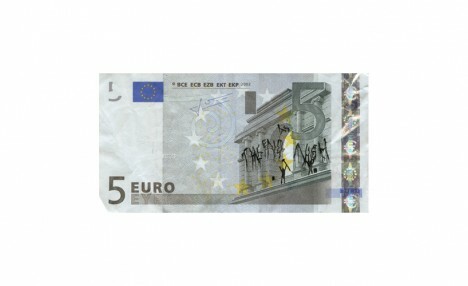 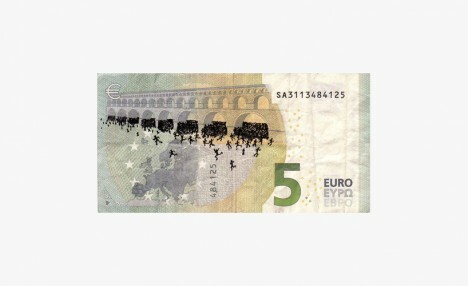 The grim reaper lurks, one man steps on another’s head, crowds cling precariously to window ledges and the people begin to revolt in a series of hacked Euro bank notes by artist Stefanos. 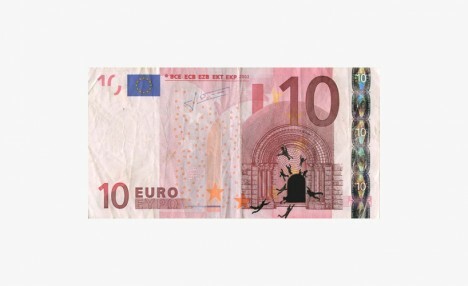 The simple images, inked onto the currency, make a statement on the current social and economic stability in the artist’s home country of Greece. 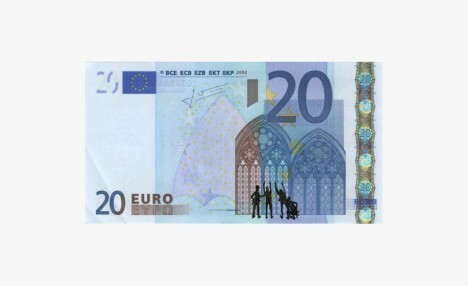 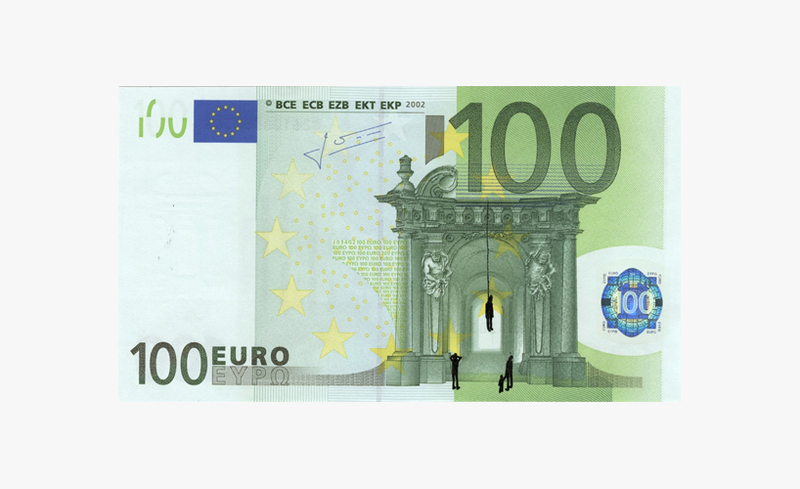 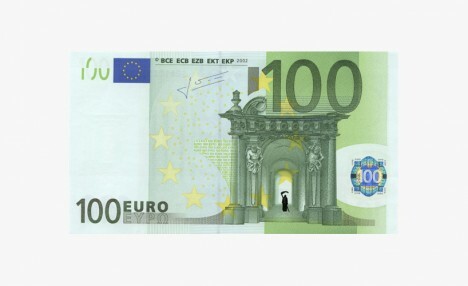 The drawings make use of the existing imagery on the currency, including recognizable ancient Greek monuments, ornate Gothic windows, modern architecture and aqueducts. 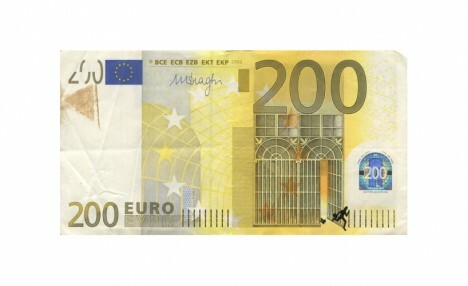 Just the slightest marking on a bill can completely change one’s perception of the printed imagery. 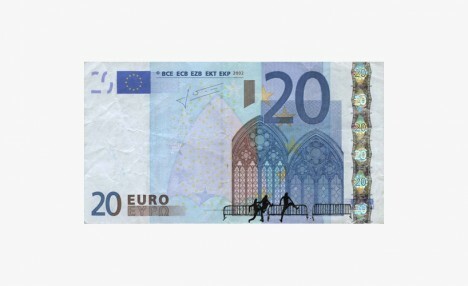 See more currency art, including defaced U.S. dollars featuring pop culture icons, portraits made of shredded cash and money origami.